Rod Coyne is one of a group of artists contributing to the Origin Gallery exhibition entitled “Kingdom Come”. Based on work inspired by the Kingdom of Kerry this show will feature a total of nine artists. 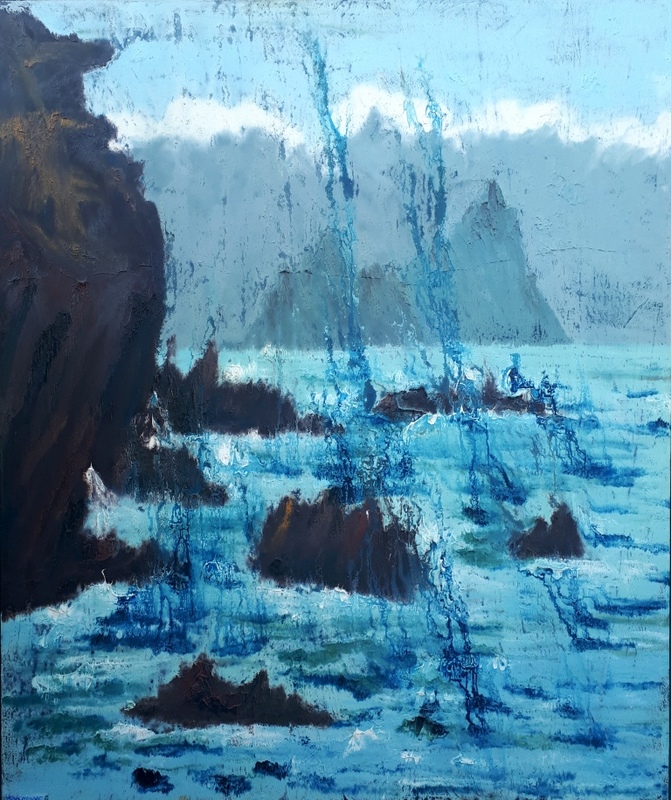 Rod will have eight paintings hanging, each a different hue of the Atlantic coastline and Skellig Michael. 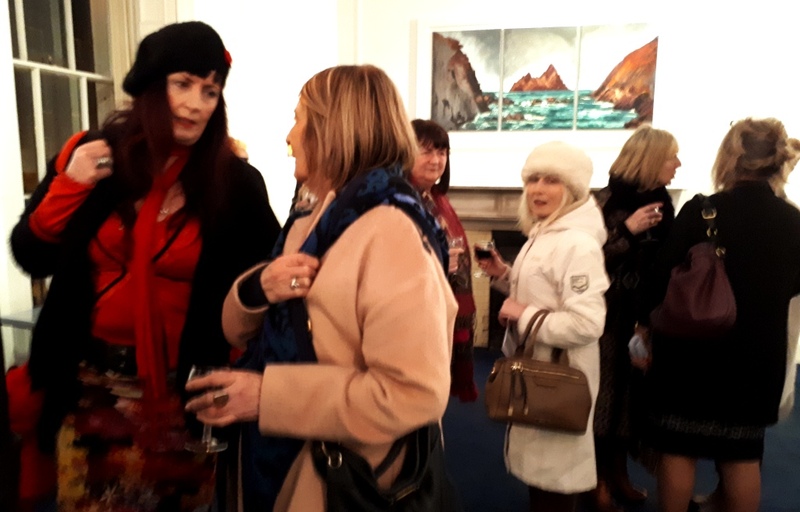 Painted on residency in 2017 Rod Coyne’s “Irregular’s Vision” features Skellig Michael in the Origin Gallery from 15th March 2019.
and runs throughout Dublin’s St. Patrick’s weekend celebrations. Private viewing on the Thursday the 14th. THY KINGDOM COME – KERRY PAINTED! founder of the Cill Rialaig Artists Retreat, Co. Kerry. Rod’s painting “Winter Seahorse” tells of the kinetic energy of the ocean beating on the Kerry shore. 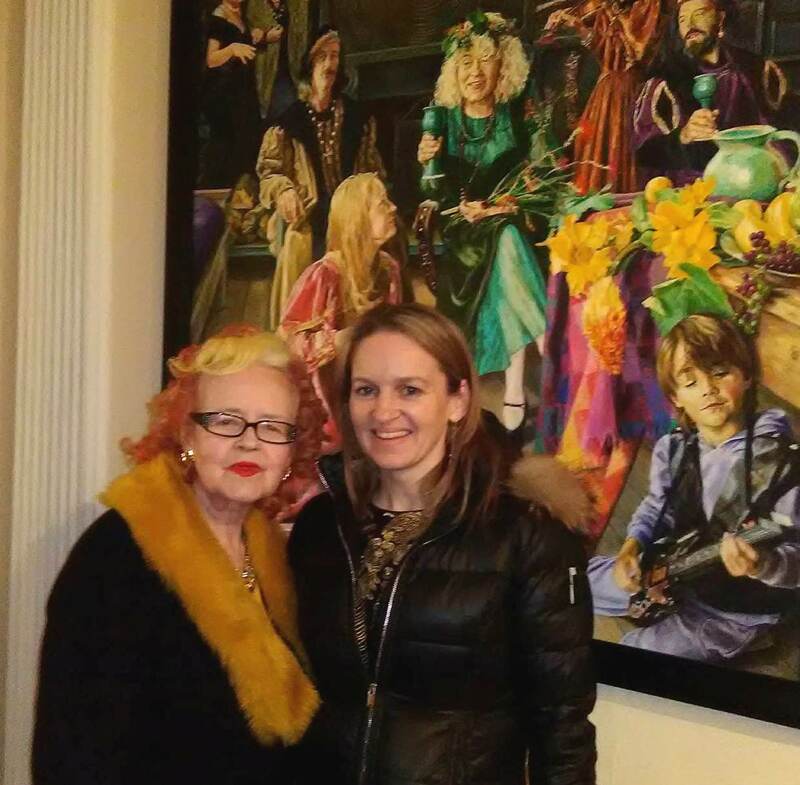 Rod’s paintings will be hanging alongside some of Ireland’s finest painters. 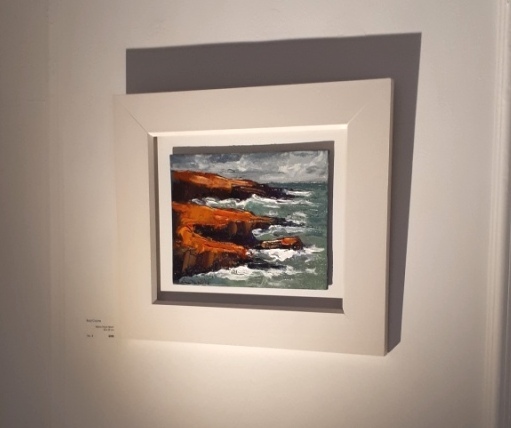 You can see art by Andrew Gifford, Linda Graham, Eithne Healy, Susan Morley, Maggie Brown, Sarah Corner, Sarah Langham, and Ken Browne. The exhibition promises to be diverse, compelling and inspiring. 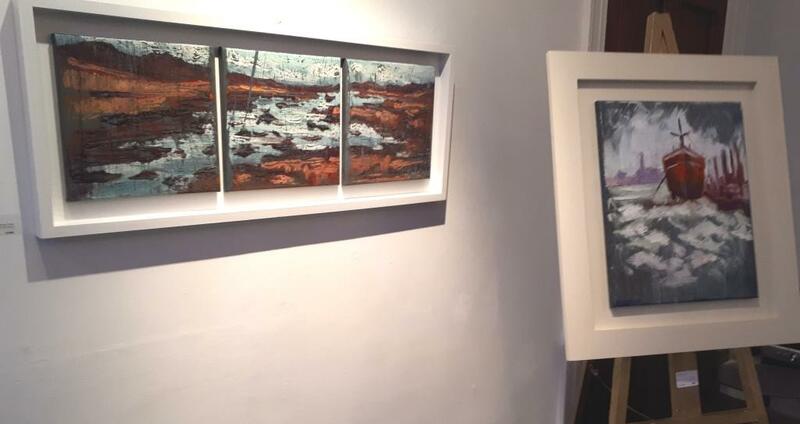 The Origin Gallery is situated at 37 Fitzwilliam Street Upper, Dublin 2. You can phone them on: +353 1 662 9347. The gallery is open from Monday to Friday from 10am to 5.30 pm and there are likely to be events on St. Patrick’s weekend. For up to date info please check their Facebook and website and google maps. The “Cill Rialaig Dream” by Coyne celebrates that sense of vertigo experienced of the cliff tops of County Kerry. 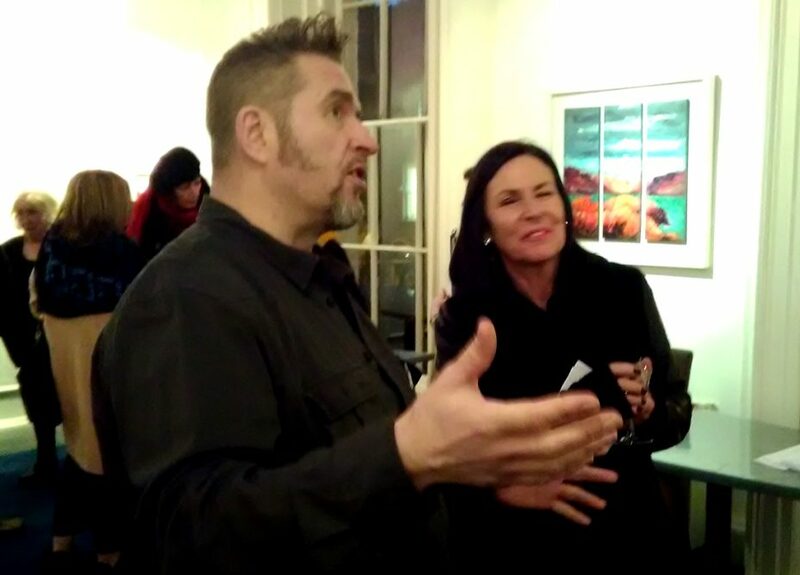 The relationship between artist and gallery is committed and long term and started when Coyne’s work was spotted by Dr. Noelle Campbell-Sharpe way back in the year 2000. 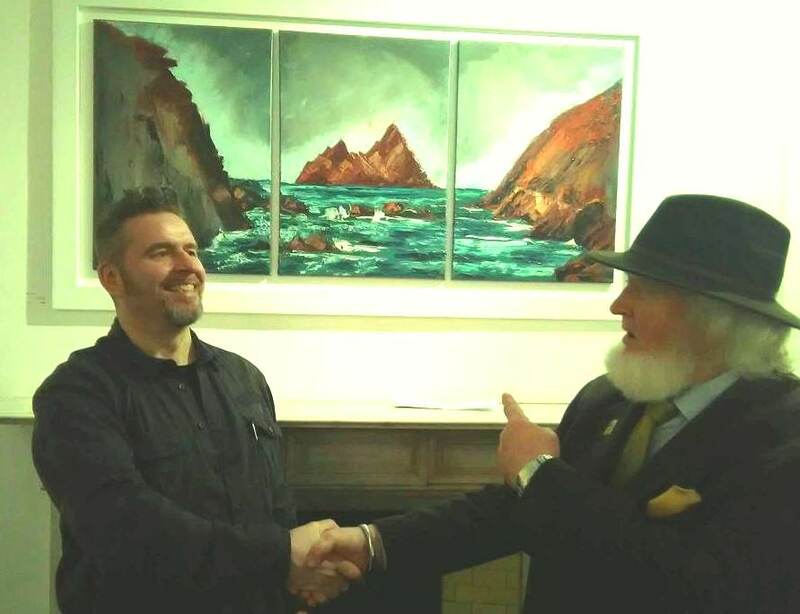 After sending him on a short residency to Cill Rialaig, Rod (having just returned from a decade painting in Germany) was offered his first Irish solo show in Dublin’s Origin Gallery. “Scariff Island” is an energetic painting straight out of Coyne’s Atmospherics style. Rod’s first visit to the Kerry residency, in the year 2000, opened a door for his work which would influences and drives him to this very day. The artist talks about a sense of genetic memory he feels when working on the home turf of his mother’s family. 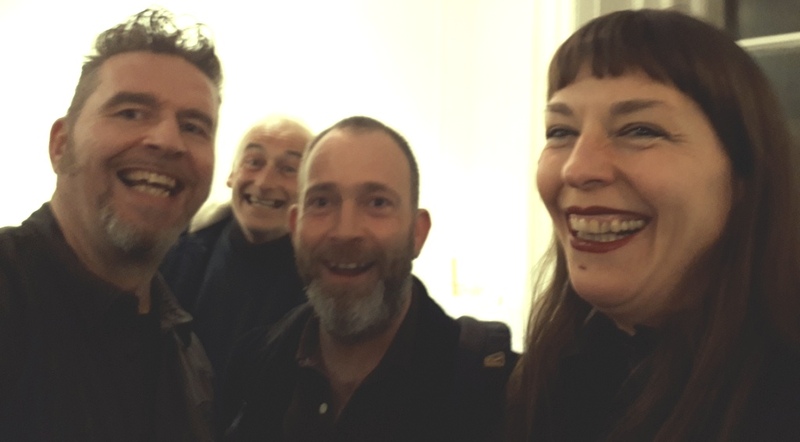 And having left Germany on a mission to engage with the Irish landscape Ballinskelligs Bay proved the perfect springboard to this new artist conversation. Rod Coyne, “Atlantic Drizzle”, 40x40cm and is oil on canvas. 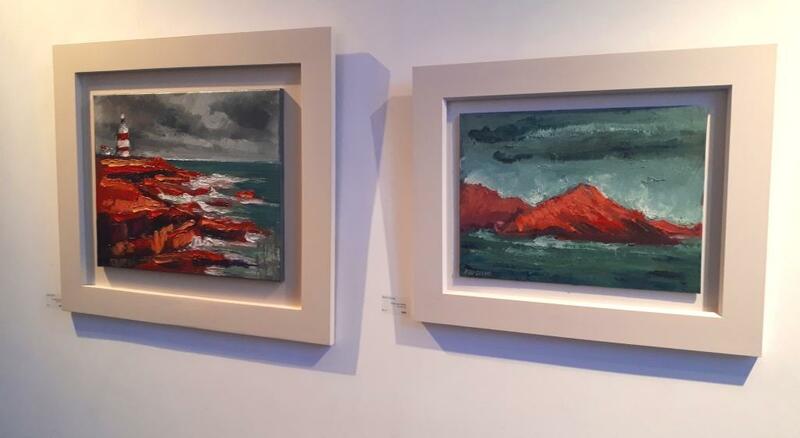 You can see more of Rod Coyne’s County Kerry based art here. 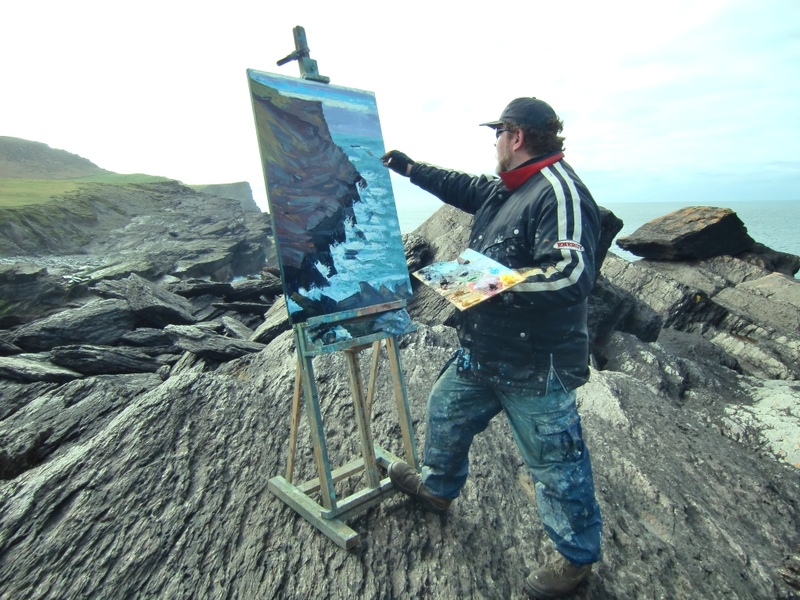 Perched on the edge of the world, Rod Coyne paints on Valentia Island, Co. Kerry. The first time I set eyes on Rod Coyne he was painting plein air on a cliff top overlooking the Atlantic Ocean. The setting was Cill Rialaig in Co. Kerry, Ireland’s only artist’s retreat. It was clear that the work in progress had the vigour born out of that energy-laden landscape, as Coyne says, “where the Atlantic collides full frontal with Europe – literally between heaven and earth”. 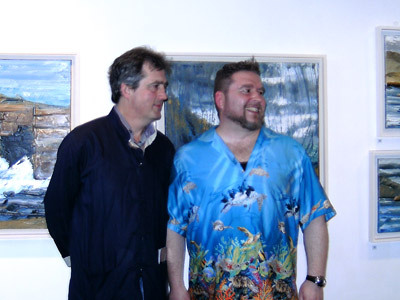 Sebastian Barry launched Rod Coyne’s “Decade” exhibition in the Origin Gallery, 2009. 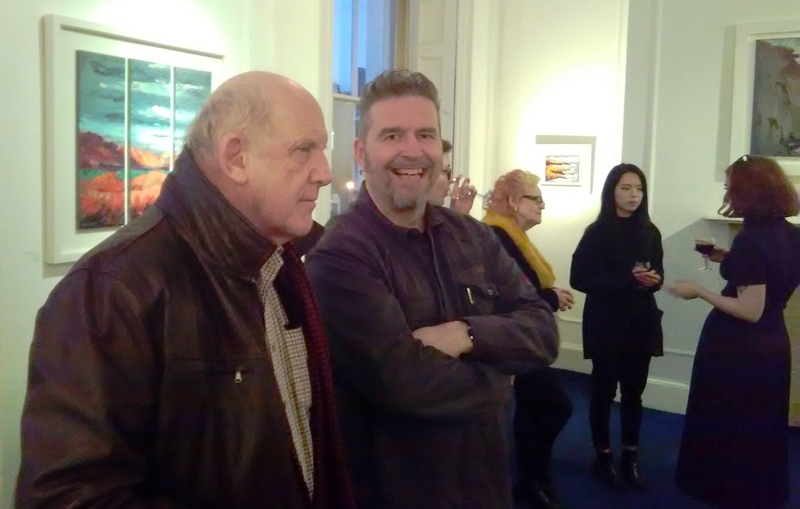 When asked to open Decade, Rod Coyne’s 10th anniversary show currently showing at Origin Gallery, Dublin 2, Costa prize-winning author Sebastian Barry agreed with alacrity. “So many of his images could be straight out of my own memory, very strange and wonderful, the red lightship, the Wicklow high valley, the angle glimpsed, “ he said. 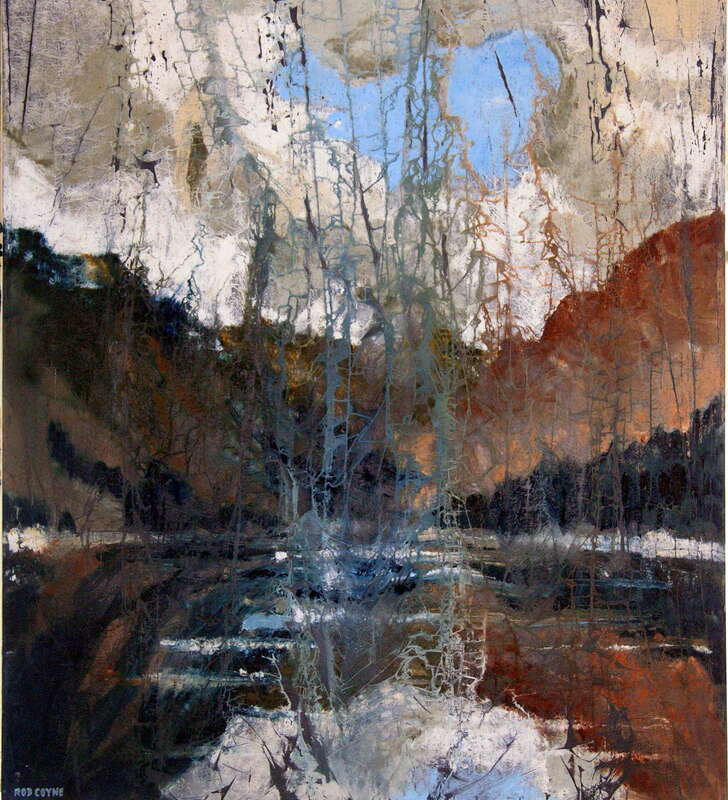 “Upper Lake, Glendalough” 100x120cm, oil on canvas. “Walking on Water” triptych 18x24cm x3 panels, oil on canvas. The exhibition comprises of 40 landscapes and seascapes, the fruits of Coyne’s “long running conversation with the Irish landscape”. He is drawn to places of mythology and beauty, and his exhibition (above) includes the Skelligs, famous sanctuary of the monks, rising out of the sea like a cathedral; the Upper Lake at Glendalough, place of another hermitage where St. Kevin founded a monastery a millennium ago; a flock of sea birds high over the ocean; a vessel in the teeth of a gale. “Atlantic Static” as featured by Ros Drinkwater for the Sunday Business Post. 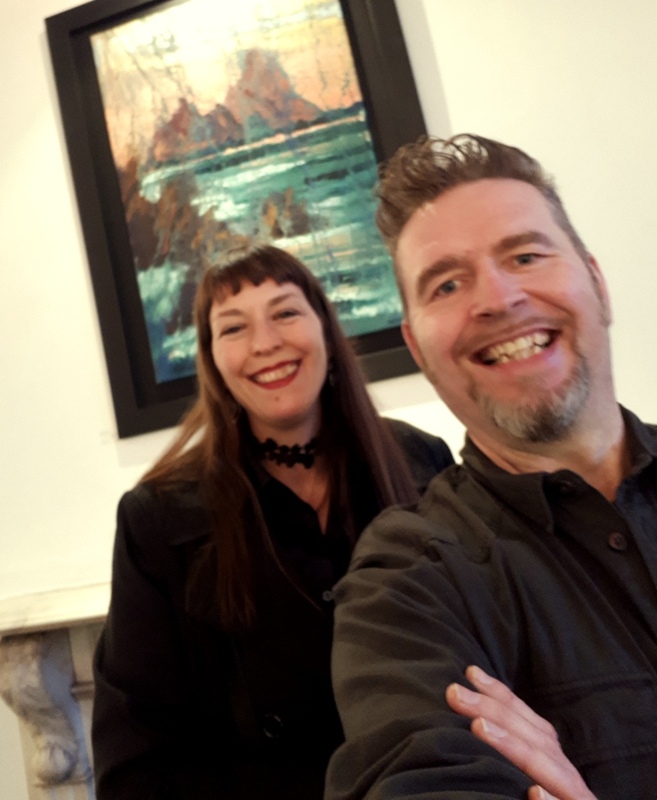 Born in Dun Laoghaire, south Dublin, Coyne graduated from the Crawford College of Art in Cork and spent ten years in Germany working from a studio overlooking the Rhine – water is always his starting point be it a river, stream, lake, sea or ocean. “Island Cathedral” as featured by Ros Drinkwater for the Sunday Business Post. When he opened his studio gallery six years ago, his expectation was that tourists would be his main trade but, to his delight, this has not turned out to be so. “What I’ve found is that people are attracted to their own locations – they buy paintings of what the tourists come here to see, “he said. “Wicklow Mountains” 100x120cm, oil on canvas. 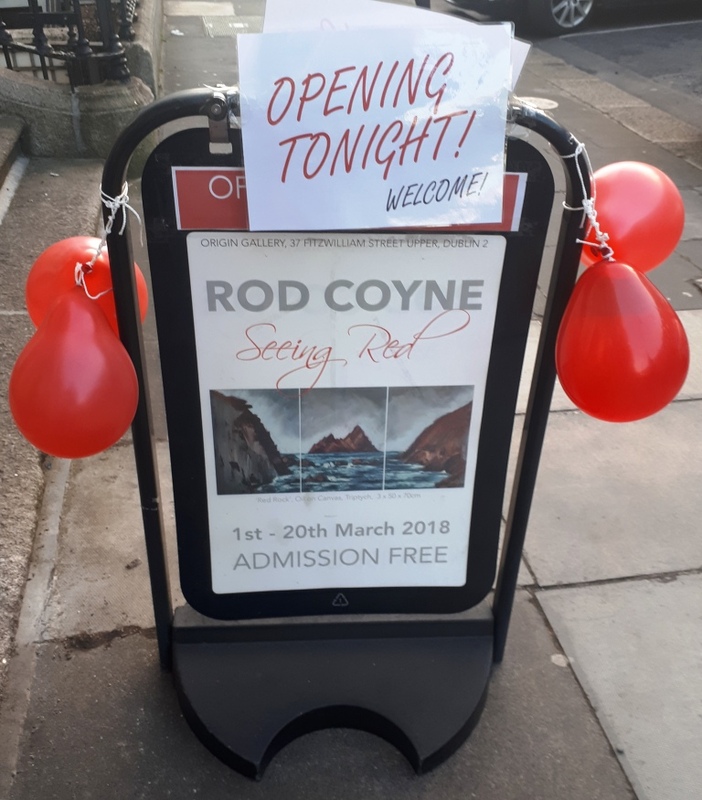 Since his first solo show at the Origin a decade ago, Coyne’s work has found favour with the public, and is in many prestigious public and private collections. In the current climate his subject matter has a particular relevance. Over millennia civilisations rise and fall – only the landscape endures. Coyne captures both its power and beauty. 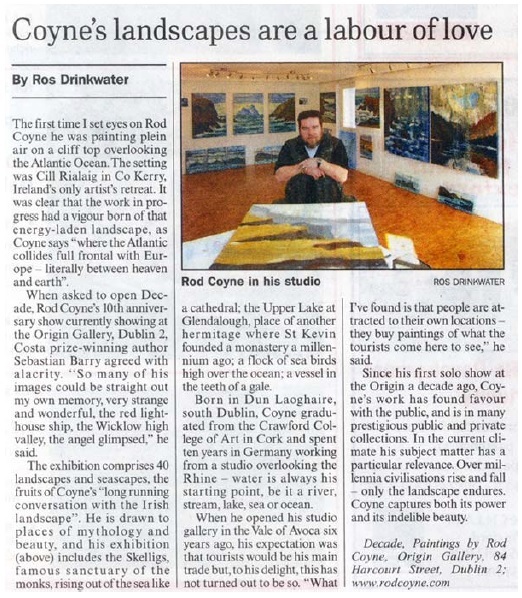 Rod Coyne’s “Decade” exhibition featured in the Sunday Business Post, 2009, by Ros Drinkwater. 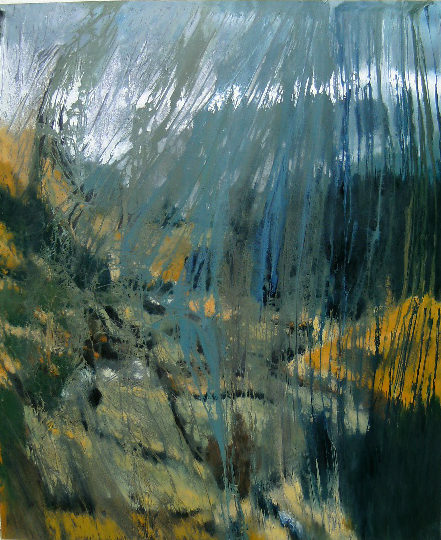 View more of Rod Coyne’s paintings.